“Black Jack Pershing: Love and War” makes it’s San Francisco premiere at 7 p.m., Thursday, Nov. 1 at the Presidio Officers’ Club. Click here for details and your free registration for the event. Pershing has a historic connection with the Presidio. He was commandant there in the years preceding America’s entry into World War I in 1917. 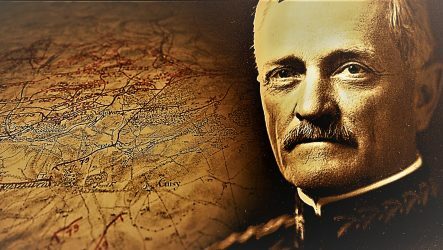 Hidden beneath Pershing’s iron exterior was a man who endured great personal tragedy and heartbreak. The screening will be followed by a discussion with film producer Barney McCoy and Presidio Trust Historian Dr. Barbara Berglund Sokolov, who is featured in the film. I invite all of our San Francisco and Bay area friends to attend. Previous PostPrevious “Black Jack Pershing: Love and War” Saturday, Nov. 3 at the San Francisco Veterans Film Festival.